Find out the many membership benefits of the FPA of Hampton Roads. The FPA of Hampton Roads provides networking opportunities, continuing education programs and marketing to help financial planners achieve their goals. To join the FPA of Hampton Roads click here and fill out an application. Become a member of this active chapter and grow your business! Networking and educational meetings are held the second Wednesday each month at Crowne Plaza Hotel, 4453 Bonney Road, Virginia Beach. These meetings give members the opportunity to meet once a month, enjoy breakfast together and gain valuable knowledge from guest speakers at each meeting. The meetings provide networking opportunities and a time to share ideas with other members about the market and the financial planning industry. Two-hour continuing education programs are conducted four times per year. The primary purpose of continuing education meetings is to advance professional knowledge and provide members the opportunity to obtain financial planning continuing education credits necessary to comply with professional continuing education requirements. 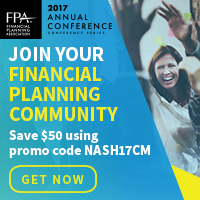 Learn how to become a certified financial planner and receive financial planner CE credits by visiting www.cfp-board.org. The FPA of Hampton Roads promotes financial planning in the community and provides financial planning tools on our websites for consumers. Individuals in the community are encouraged to visit the site to locate a certified financial planner or other financial professionals, read informative articles and learn about the financial planning process. FPA of Hampton Roads members are listed alphabetically and may also choose to be listed under various practice specialty areas. Members may contribute financial planning articles, which are made available to the public on the web site. The FPA of Hampton Roads social media sites are used to educate the public and help further promote both the chapter and its members. As a benefit of membership, the FPA of Hampton Roads social media sites will “Like” or “Follow” chapter member social media business pages. The annual symposium is a professional continuing education conference held once a year. This is the largest meeting in scope and size the FPA of Hampton Roads sponsors each year. The objective of the symposium is to provide continuing education to all financial service professionals in the Tidewater area. The 2019 Symposium will be held Thursday, September 19, 2019 at the DoubleTree by Hilton Norfolk Airport Hotel. Click here for details of the 2019 program. Click here to complete an application online, or download a printed application (CFP® professional application) or (non-CFP® professional application). Be sure to enter “HAMPTON ROADS” as the “Local FPA Chapter”. About Our Chapter – Learn more about our chapter. 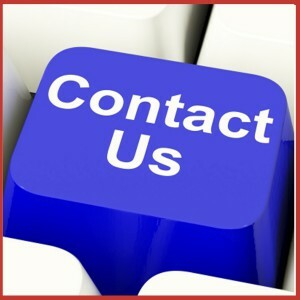 Board of Directors – Contact the board of directors. Calendar of Meetings & Events – Find a schedule of our upcoming meetings and events. Career Development – Discover career development opportunities. Certified Financial Planner CFP® – Find out what it takes to be a CFP®. CFP® Scholarship – Download an application for the CFP® scholarship for those pursuing their CFP® certification. Continuing Education Credits – Learn about receiving financial planning continuing education credits. 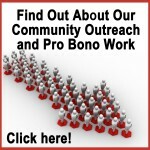 Community Outreach – Pro Bono – Help families in need achieve financial sustainability. Helpful Links– Find helpful links to associations and organizations, government agencies, stock exchanges, tax information and more. Job Postings – Browse financial planning jobs in Hampton Roads. Join FPA of Hampton Roads – Click here to join the FPA of Hampton Roads. Newsletters & Bulletins – Find back issues of our newsletters. Education and Resources – Find financial planning education and resources.